I need to testify in a criminal case as a witness. Pray for strength for me to do this. Praise God for Love INC, it is amazing and has changed our lives so much. Pray for us as we are working on living our lives together and finances are tight. Thank you Lord that a place was found to live and the kids are happier. Pray for my daughter and her children. Thank you Lord for my healthy kids. Pray for my mom to let you into her heart and to know only you are in control. Pray for my relationship to last. Pray for my daughter to be able to stay with the TAG program at school. Thank you for our grandson. Pray for help with my budget. Praise God for fewer flashbacks, nightmares, better wellness, and mental health. I am in a better time and place to improve my life. 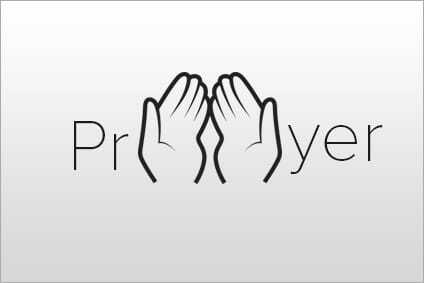 Pray for me to transition back to the work place, for patience, and for guidance. Pray for my husband's and children's happiness. Thank you for my loving family, my job, and for my life. Pray for my mother, my brother, and his family. Praise God that I have been able to move forward, somewhat, in life and in my relationship. Pray that my boyfriend and I can figure out a way to make our finances work out so he can move in with me and the kids and get married. Thank you Lord for my thirst in learning new information and points of view. Pray for my father to recover from addiction. Praise God for safe travels over Easter. Pray for our government to make prudent decisions in world affairs. Pray for strength for our daughter as her mother is moving away. Pray for my son who is getting tested for seizures and I am getting tested for MS.